Hey thanks for visiting WealthBuildPro, todays blog post is going to introduce you to the fascinating world of Gold and what I’ve been doing lately, keep reading and you’re going to learn how gold can benefit your future and why now is the time for you to take advantage. Perhaps no other metal in the world has the prestige of gold. The increase in demand for gold across the world is linked to a number of reasons. 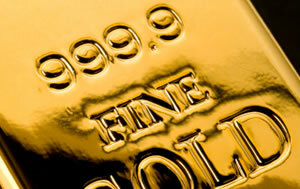 To be able to benefit from the increase of demand you should become familiar with the fundamentals of the gold market. You may not be surprised to hear that gold jewelry accounts for a large portion of the gold market. Take a Look at the uses of gold. Dentistry– Because gold is resistant to corrosion it has wide application to the dentistry industry. Electronics– Because of its ability to efficiently conduct electricity, gold is a popular metal in electronics. Its used as a semiconductor in circuit boards and integrated boards in everything from cellphones and TV’s to missiles. Jewelry- Since man first discovered it thousands of years ago, gold has been used as an ornament and in jewelry. The ancient Egyptian King Tutankhamen was so enamored with gold that he was buried in a gold coffin. Today jewelry is the most important consumer use of gold in the world, accounting for more than 70 percent of total consumption. Monetary- Many central banks hold reserves of gold. In addition, gold is one of the only commodities that’s held in its physical form for investment purposes by the investing public. Ductility- Gold is a very ductile metal. One ounce of gold can be converted into more than 50 miles of gold wire! This gold wire can then be applied in electronics and used as an electric conductor. Malleability- Pure gold (24 Karat) is a very malleable metal and is prized by craftsmen around the world who shape it into jewelry and other objects of beauty. One ounce of gold can be transformed into more than 96 square feet of gold sheet! Quasi-Indestructibility- Gold has high resistance levels and doesn’t easily corrode. Corrosive agents such as oxygen and head have almost no effect on gold, which can retain its luster over long periods of time (think thousands of years). Rarity- Gold is one of the rarest natural resources on earth. Most people don’t realize this, but only about 150,000 tons of gold have ever been produced since humans first began mining gold more than 6,000 years ago. To give you an idea about how little that is, all the gold in the world wouldn’t even fill up four Olympic-size swimming pools! And because most gold is recycled and never destroyed, a majority of gold is still in use today. About 15% of gold is recycled every year. Gold like most metals, is measured and weighed in troy ounces. One troy ounce is the equivalent of 31.10 grams. The troy ounce takes its time from the French town Troyes, which was an important center of trade and commerce with a thriving precious metals market during the Middle Ages. When you buy gold for investment purposes,troy ounces and grams is the measurement of choice. When you want to refer to large quantities of gold,such as the amount of gold a bank holds in reserves or the amount of gold produced in a mine, the unit of measurement you use is metric tons. One metric ton is equal to 32,150 troy ounces. If you’ve bought gold jewelry, you may have come across the following measurement; Karats (sometimes spelled carats) measure the purity of gold. The purest form of gold is 24-Karat gold (24K). Everything below (24K) denotes that the gold is alloyed,mixed or with another metal. As you can see gold has a lot of uses and benefits to us. To receive my FREE social media prospecting training video please like share and comment.